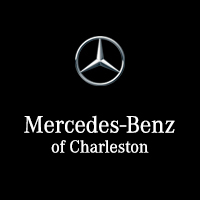 Find out how Mercedes me works at Mercedes-Benz of Charleston, and how you can control a wide range of services—whether or not you’re near your vehicle! Keep Track of Your Vehicle – Get help learning more about your vehicle by looking through your owner’s manual, streaming how-to videos, or even getting in touch with a Product Concierge to get direct assistance. Get Service – This feature provides you with automatic reminders about upcoming services you’ll need according to your mileage. You can even see available service appointments at your dealer and schedule your next service appointment via Mercedes me. Get Connected at Home – In addition to the ability to stay connected via smartphone and tablet, Mercedes me lets you stay connected from inside your home via Amazon Alexa and Google Home. Control the Vehicle – Certain versions of Mercedes me allow you to perform a range of functions on your vehicle remotely, including locking and unlocking the car, starting and turning off the engine, see the vehicle’s location, check your fuel levels, and even run a vehicle health report. Keep Track of Financing – If you took out a loan for your Mercedes-Benz, this feature allows you to keep track of Mercedes-Benz Financial Services so you can be sure your payments are going through on time every month. Get Help with Mercedes me Today! From Mercedes me to the COMAND® multi-media interface and more, the new Mercedes-Benz lineup is full of new, helpful, and innovative features. Get help using any of them and get all your service questions answered near Huntington at Mercedes-Benz of Charleston, located about an hour north of Beckley via I-64 at 5 Dudley Farms Lane in Charleston, WV. While you’re here find out about financing a Mercedes-Benz through our dealership. And if you have questions, feel free to get in touch!